I’m in the midst of relocating and organizing my sewing space to a room with more light, but one that is also a wee bit smaller. That means that I really have had to rethink things as my previous basement sewing space doesn’t translate fully to my new room. Moving and setting up my space is certainly fun, but going through and getting rid things I don’t need, sure isn’t…. I put off this project as I just didn’t want to go through my bins of fabric, but it was time to sort through the fabric and get rid of stuff I really do not need. I am a person that likes things organized and I don’t like a big cluttered mess. I also don’t like to keep a lot of things that I’m never going to use. I imagine that comes from growing up on a ranch where my grandpa hoarded all kinds of junk in the garages, barns, outbuildings, etc. and almost five years after he left us, we are still trying to get rid of the JUNK. I just hate junk and here I am with bins of it in fabric form. I really love looking at photos of other sewists and their fabric collections and how lovingly they are displayed on racks in their sewing rooms for all to see. Me, I live in the country and there’s a lot of dust, so I prefer to keep my fabrics folded in plastic bins. I’ve also moved to a space that has DUST. I really didn’t have that in the basement. I have a love/hate relationship with having a fabric stash. On one hand, I love how I can go into my stash and sew something as I have the fabric and patterns to do so. And yet, I feel that I shouldn’t be buying more fabric until I whittle down the stash. Earlier this year, I decided not to buy much (if any) fabric until my stash became smaller. I did buy a few pieces that I just had to have and quickly sewed them up. At the end of my fabric purge, I culled a big pile of fabrics that I’m going to donate. I decided that I did not need anything that I was never going to sew. A big contributor to my stash was buying mystery fabric bundles from Fabric Mart. I stopped buying them a couple of years ago when I just kept getting a bunch of junk in the bundles. And where did that junk go? Into my bins of course! And then came “gifts” from family and friends who went through their stashes and gave me fabrics that I wouldn’t have purchased on my own. So all of these fabrics went into my donate pile, along with a few that I had purchased because they were cheap…. My bins were lighter and I felt better about having less in my hoard, plus perhaps someone else could find use in the fabrics that I didn’t need. I also tended to keep a lot of fabric remnants from garments that I’ve sewed. I suppose I thought that I might use them at some point, but if they’ve been sitting there for 5 years or more, I know I’m not going to use them. Into the donate pile they go! I used to buy fabrics with no real plan for them. Almost two years ago I decided to only buy fabrics that had a use and I made a list of what I wanted and started sticking to that when I was fabric shopping. I also made a list of types/colors/styles of garments that I wanted in my wardrobe and I began choosing my fabrics and sewing with those guidelines. With these rules in mind, I stopped buying fabrics that I would never use and thus I stopped adding unnecessary bulk to my stash. I also began sticking to higher quality fabrics and buying more locally and regionally from independent fabric stores. It’s been overcast and fall-like this week, which really makes me think about fall sewing. So after I went through my fabrics and removed those that I no longer wanted, I pulled some out that I wanted to sew up. I started cataloging them in my Curvy Sketchbook and pairing them with patterns, making a list of my fall/winter sewing plans. This really helped me plan my wardrobe as I ready myself for the approaching cold weather we are supposedly expecting. Some of these fabrics have been sitting in my stash for a while as it hasn’t been cold here, which hasn’t given me any inspiration to sew them. My cold weather clothing is also lacking due to this, as I generally just layer cardigans over my spring/summer dresses in the fall and winter. But I’ve been wanting some nice warm dresses and jackets and I’m finally making a plan to sew them up! By doing this, I also figured out what else I wanted to sew and made a plan for what I wanted to buy. 🙂 So yes, a fabric shopping spree is in my future! Finally! And I won’t feel bad about it, either! 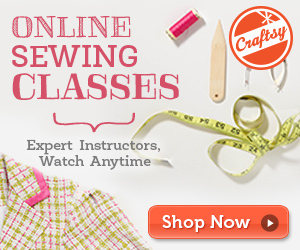 So what is on my fall sewing list? I think I’ll be set with my list! Now let’s see how much of that I can accomplish! I don’t know about you, but I feel really good when I rid myself of stuff I don’t need. I’ve gone through both my fabrics and my patterns and removed a lot and organized it. I just need to finish documenting my fabrics and get more pattern boxes and I will feel really good about my new and organized sewing room. No clutter and nothing is there that I don’t want! I totally get it! I’ve made it a point to sew from the fabric collection for the next year. I’m not going to say that I won’t buy fabric but I’m finding that if I stop, think and delve into the collection, I can find something to sew…especially since there is so much there. However, since my collection has been weeded through several times and is stored so that I can access it at all times, I’m good with what I have. I think each sewist should have the fabric collection/stash that they are comfortable with…I just happen to happiest with a lot! I just received another box from Fabric Mart and the stash officially no longer fits in its dresser. I’ve got to stop buying fabric. Looking forward to seeing that stack of beautiful fabric get made up! I used to hate getting rid of fabrics that I “might” sew someday…. Just with my closet, I decided that I don’t need to keep things that I’m not going to use/wear and it’s so much better giving them away and hope that someone else will find them useful. I need to cull my fabric. I have quite a few of those what was I thinking early fabric purchases that just need to go. 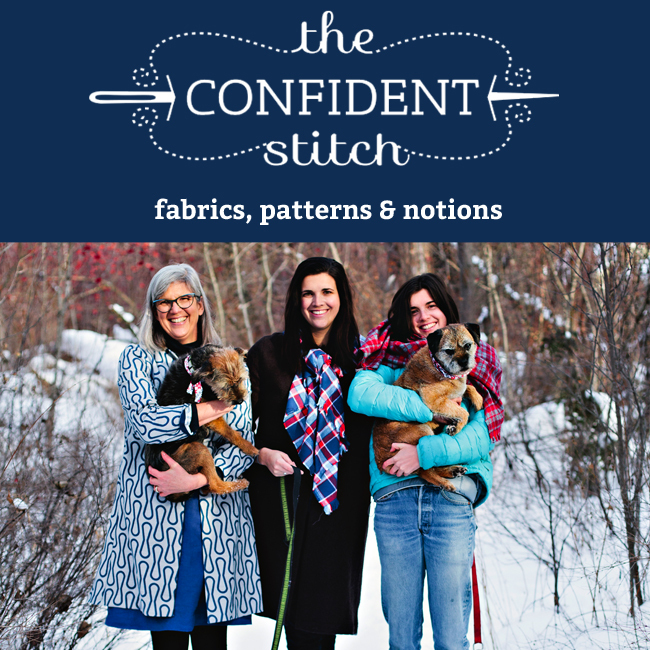 Your cold weather sewing plans look awesome. Love that Marc Jacobs fabric. So happy you are going to sew the Misty jeans! I used to be amazed by my MIL’s fabric stash and used to keep whatever and buy whatever — but no more! 🙂 I’ve been wanting to make a coat for a while, but haven’t been inspired to with the warm winters here. But I’m definitely going to! I’m excited to sew the Misty jeans, too! Just need to get my fabric, which I will hopefully find on my shopping trip next week. I enjoyed this article! ESP since I also grew up on a farm with bits and bobs stashed everywhere LOL. I sew with the Home Ec teacher at the local high school, and they love receiving donations of fun fabrics, especially “easy to sew” fabrics like quilting cotton and flannel. I know the local theatre takes donations too! Oh yes…. I was walking around the old garage and barn the other day looking at all the junk! 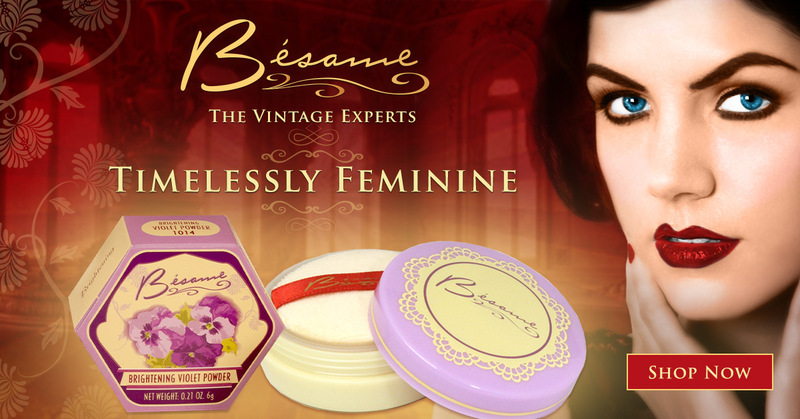 With bits of treasures stashed in…. I’ve been donating the cottons to a local 4-H club for quilts they’re making. Not sure yet where I’ll donate all of these other fabrics yet, but there are several places in the area that take fabric donations. Oh gosh yes!! I’m slowly culling things from my stash – like you, a lot of it was “gifts” from people who were destashing themselves 😉 plus I’ve been sewing for so long that there are things hat have been in my stash for well over a decade and just aren’t my style any more. It’s so nice to remove “stuff” from ones life!! Yes — we surely don’t need stuff that isn’t useful! That’s for sure! I do think a velveteen blazer will be worn more – so I’m swinging more in that direction! I don’t even want to think about how big my stash is. In my defence, it’s 90% inherited from my grandmother. Whilst I still buy fabric i like the look of occasionally, I have enough to last me until I’m making clothes for my grandchildren (and there’s a lot of baby clothes fabric in there). I’m actually writing this wearing a dress made from fabric my grandma had bought to make me a dress as a toddler. There is still so much of it left I’m not sure what to do with it. Currently most of the stash still lives at my Mum’s place, and I have what I think I will sew up next at our apartment. A one bedroom apartment doesn’t leave much storage room. It’s mainly in tubs and cane baskets, but I’m hoping to organise it into my vintage suitcases and hat boxes soon. Then I can go raid more of the stash at Mum’s place to replenish. It’s really awesome. It’s sad in a way because she cannot sew herself anymore due to Alzheimers, but she was so relieved when she found out I had taken it. She can barely remember now that she ever sewed, but she still likes to fuss over what I’ve made. I like your method of stash organisation. I am about to go through my own as I am buying a new bedroom suite and I’ve got to reorganise a few things and I’ve found myself rethinking my stash too. Moving new things in always help with de-stashing, doesn’t it? I’d love to find a cabinet with shelving that I can keep my fabric in. Yay! I’m glad to see that you’ll be joining us in the Misty sewalong. 😉 I did a pass through my stash when we moved to Seattle 2 years ago, but I still have several plastic tubs that I’ve barely touched since moving. I really need to go through those and cull/donate. It’s so hard to be ruthless, but like you, I hate things taking up space when I’ll never use them. I’ve gotten a lot better about downsizing things and donating what I don’t need. I used to hoard and think I needed “stuff”, but I have a different mindset now. Maybe you’ll find some treasures in your tubs! I understand your dilemma, however, as ashamed as I am to admit it, I’m a certified fabric/pattern/notion hoarder. My stash is neat and shelved, patterns are filed numerically and notions are next to be organized. Your reasoning appeals to me and makes sense. I’ve totally curbed my purchasing though–I only buy what I have immediate plans to use. BTW- I have that Marc Jacobs fabric too-been in the stash a while (lol). YEP!!! And I bought the pattern on etsy, just haven’t printed it out. Next is finding appropriate fabric! I start feeling bad if my sewing space looks cluttered and messy, so I guess that pushes me to keep it up. Yes, when you don’t have a place for something it can really get cluttered! I still need some type of nice losses box to keep the fabrics in that I want to use soon. I love that cabinet you have for your fabrics! It’s perfect for keeping them looking nice whilst still being able to look at them. 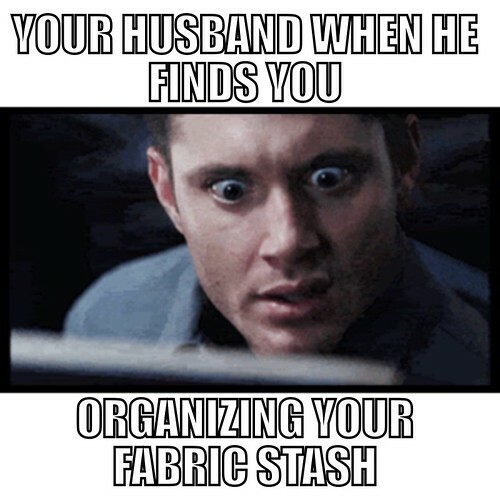 You’re also so lucky to find the fabrics you do at your thrift stores. I look here and just see a bunch of old junk, poly nightmares and quilting scraps. My sewjo is high, but I’m still organizing, which would make me feel bad about sitting down and sewing!